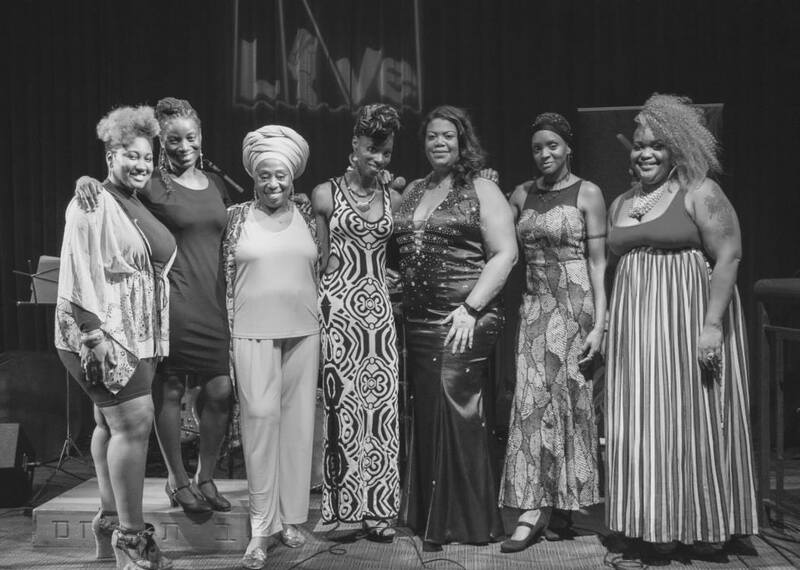 Sistahs Attune is a sisterhood of gifted vocalists connected to Jazz striving towards growth, musical excellence, and success as individual performers and as a collective. The mission is to increase performance opportunities and outlets for female vocalists of color. By executing high-quality cultural programming and engagement activities, Sistahs Attune aims to educate the public of the importance of supporting the arts. 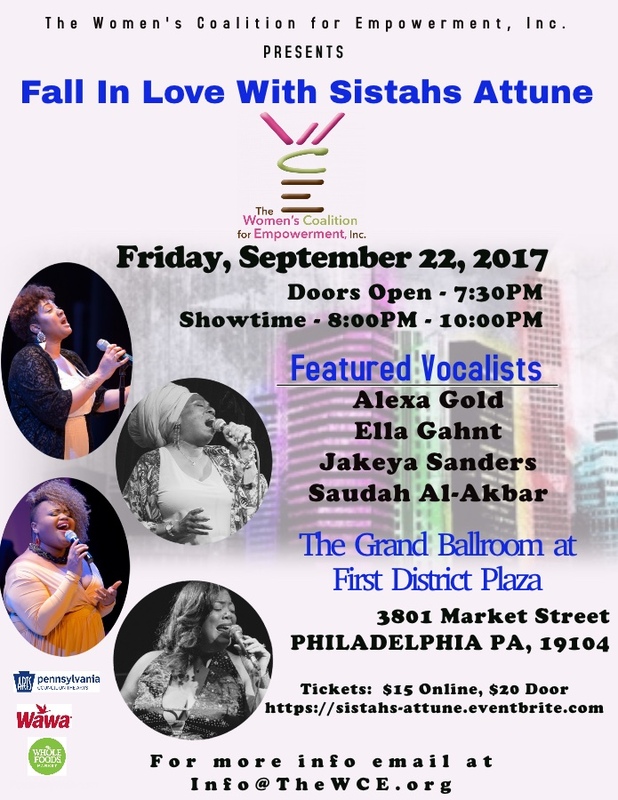 PJP spoke with cultural worker and vocalist, Shekhinah B. about her work, Sistahs Attune, and the upcoming, Fall In Love With Sistahs Attune concert. PJP: Can you tell us about the upcoming Fall Concert? 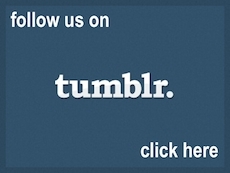 Briefly describe your direction, your goals, as the creator/producer of the upcoming event? Shekeniah B: The Women's Coalition for Empowerment, Inc. presents “Fall in Love with Sistahs Attune” a play on words coincidentally during our fall season and also the day of the Equinox. It will conists of two-hours of continuous music, featuring four vocalists of Sistahs Attune; Alexa Gold, Ella Gahnt, Jakeya Sanders and Saudah Al-Akbar accompanied by a jazz trio. I'm the conecrt organizer and host. Proceeds from ticket sales will go to our charity, The Women's Coalition for Empowerment, Inc. The concert will take place at The Grand Ballroom at First District Plaza, Philadelphia, PA 19104. Doors open at 7:30pm concert is from 8:00pm – 10:00pm you can purchase tickets via the Sistahs Attune Ticket Link. Sponsors for this event include Pennsylvania Council for the Arts, Whole Foods Market and Wawa. Our goal is to begin a long-term partnership with multiple creative performance venues, cultural organizations, and local funders to work together at preserving art, artist development and increasing art economic development. PJP: Why is it [the event] important? Shekhinah B: “Fall in Love with Sistahs Attune” is a continuation of an introductory performance series introducing the community to our vocal collective Sistahs Attune. 2017 has been our branding year to make a lasting positive impression on the people. We want people to fall in love with our artistry, free expression, and passion for the arts. It is no coincidence that this event is taking place in the fall during the autumn equinox, the timing is perfect. September’s weather is pretty balanced for that time of the year and we anticipate a large turnout. We appreciate the Grand Ballroom at First District Plaza for hosting our concert. Our group represents the preservation of Afro-centric the legacy, history, and performance dynamic to share with the community. We believe we can create opportunities for an underserved population. Female vocalists of color want the opportunity to have a fair share at being comfortable expressing themselves and music they feel best represents their image unapologetically. We want free artistic expression for female vocalists of color without feeling exploited, objectified or ignored. This event among others we intend to execute in the future will be a statement of taking back our freedom, dispelling artistic oppression and seeking the support of those who believe in our mission and objectives. Most importantly for all of our artists merging the gap between art and commerce to increase financial sustainability for women in the arts. Shekhinah B: Sistahs Attune is an all-female vocal collective residing in the greater Philadelphia region. It includes vocalists, Ella Gahnt, Jakeya Sanders, Batiyah Barnes, Bethlehem Roberson, Saudah Al-Akbar, Alexis Simmons, & Shekhinah B.
Shekhinah B: Our answer is, why not Jazz? Jazz is the quintessential prototype of indigenous Afro-American music. Jazz birthed so many diverse musical genres and have allowed for creative expressions from legends to up and coming performing artists. 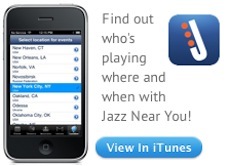 Many assume the genre of Jazz is exclusive when in fact it is the most inclusive form of musical expression. It allows you to feel, Jazz just is. As for Sistahs Attune, we will continue to work hard improving upon our artistry, musical integrity, and we invite you to share in our collective and individual growth. But to be real, people come out to what sounds good, what moves them and makes them feel good, and that’s what we hope to do with each production, and with continued support we can continue to fulfill our mission objectives.